The principle objective of this report is to analysis Loan Performance Analysis of Bangladesh Development Bank Limited. General objectives of this reports are to analysis the loan management by BDBL, to highlight the credit and recovery procedures and evaluate performance, to analysis the reasons of making loan default by the sponsors and to get an idea about the condition of loan default mechanism of BDBL. Finally describe the contribution BDBL towards the economy of Bangladesh and to suggest necessary steps for overcoming such problems of BDBL. A research must find the problem and formulate it so that it becomes susceptible to research. Like a medical doctor, a researcher must examine all the symptoms concerning a problem before he can diagnose correctly. Usually we say that a research problems dose exist if the following conditions we met with. There must be an individual or a group or an organization, let us call it. There must be at least two courses of action is defined by one or more values of the controlled variables. There must be at least two possible outcomes, the course of action of which one should be preferable to the other. The course of action available must provide some chance of obtaining the objective, but they cannot provide the some chance. Otherwise the choice would not matter. In simple words, we can say that the choices must have unequal efficiencies for the desired outcomes. To analysis the loan management by BDBL. To analysis the reasons of making loan default by the sponsors. To get an idea about the condition of loan default mechanism of BDBL. To find out the contribution BDBL towards the economy of Bangladesh. To suggest necessary steps for overcoming such problems of BDBL. Correct and smooth completion of report requires adherence to some rules and methodology. In order to make the report, the decision has been taken to collect various primary and secondary data. Data have been collected by oral interviewing the responsible officers. They also gave me annual report, annual budget granted through government of BDBL and other documents. Different forms of statistical configurations such as table percentage rates and ratios have been used to make the study meaningful and realistic. After collecting data from the interview and materials provided by them were carefully scrutinized first. Then the data was organized as required. In order to make the study effective and efficient, following tow types of data and information have been used widely. Food and allied product sector is one of the improving sectors of BDBL. In the financial year 2010-11, food and allied sector got 4% concentration of its total loan outstanding amounting to a total of TK224 million. For the year 2010-l1 food and allied sector classified TK38 million as bad loans, representing 17%percent of the total outstanding where as TK185 million is still unclassified. Total bad loan of this sector in 2010-11 was TK 423 million but it was reduced to TK 172 million in 2009-10 and got a dramatic improvement in 2009-11 with a 78% fall to 38% million. This sharp and continuous reduction in Bad loans indicates better loan monitoring and administration in this sector. From unclassified loans point of view, this sector also conveys some positive signal. Unclassified loans with the reduction in bad loans, goes up from 66 million in 2008-09 to 185 million in 2010-11. In short, loans of this sector are performing better year to year and demands constant concentration. Jute and allied fibber is that sector with which BDBL is going to close its operation. Already bank has stopped sanction and disbursement in this sector only job of the bank is to recover the amount of loan money which was given before. In 2010-11 this sector got 9%concentration and its loan outstanding amount is 535 million. This sector has 78% bad loan comparing with the total outstanding, though it is 78% and seems too high hut if we analyse the previous year’s data we will get some different idea about this sector. If we start talking about bad loan or classified section we see the difference year to year. In 2009-10 the amount of bad loan was TK 530 million, in 2008-09 the amount was TK 424 million and in 2010-l1the amount is TK 412 which is comparatively low than previous years. But the decreasing speed is slow here. If we see the diagrams here we see the amount of unclassified loan is increasing and its growth rate is good enough. It was only TK 7 million in 2009-10 there was huge change, it was TK 112 million which is 16 times more than previous year. And in 2010-11 TK 118 million is also good if we apply the growth of unclassified loan point of view. This is the prime sector among the sectors with those BDBL deals. Sanction, disbursement and recovery all is good in this sector. This is the sector by which the country earns most of its foreign income and it is playing a vital role since couple of years. This sector is getting more concentration year to year 69% of outstanding in this sector. In the year 2010-l1 the percentage of classified loan is TK818 million which is 19% of total outstanding and 81% of total outstanding is unclassified which sounds good is of TK 3 504 million. In 2010-11 the amount of bad loan was of TK 1588 million and in the year 2009-10 that was of TK 948 million and in the year 2010-l1 it is of TK 818 million. If we talk about substandard loan in the diagram, we see in 2009-10 it was of TK 110 million and in 2009-10 it was of TK .158 million and in 2010-11 no existence of this class. So it indicates well because a class has dropped out. In the consecutive years there is no significant change among the amount of unclassified loan, which really proves better performance of this sector better planning, monitoring and controlling of the bank. Only 2%of total outstanding exist in this sector. This is the sector which is very important for a country, if the sector falls then the country become dependent on import which may not be good for a country. In this sector here the percentage of bad loan is 10% which is relatively low comparing with other sectors and with total outstanding. The amount of bad loan is of TK 14 million in 2010-11 where unclassified loan is 90% and it is of TK 125 million. In this sector the data gives us that kind of information which can be matter of hope. Here he see, in 2008-09 bad loan was of TK 54 million, in 2006-07 the amount was TK 22 million and in 2010-l1 the amount is only 14 million. So the falling rate of bad loan is 60% and 37% in two consecutive years, a positive change in unclassified section. Though in 2009-10 unclassified section showed negative signals and there was also a big amount of doubtful loan but the bank has crossed the session and now is in good position. In 2010-11 the unclassified loan is of TK125 million which is 76.8% more than the last year, so it proves the great performance of the bank and demands such kind of performance in all sectors. This sector’s classified loan is 14% of outstanding is of TK 91 million in the year 2010-11 is conveys a message that the amount of classified loan is almost same of the year 2009-10.And the unclassified loan is 86%. When we see the same scenario year to year then it is said that, probably the same effort has given to this sector or we can say that no strategic change. In this sector in 2009-10 the amount of bad loan was 79 million, in 2008-09 it was 91 million and in 2010-11 it is 91 million also. So this sector demands some new policy to recover the bad loan amount quickly. Non-metallic sector is that kind of sector which is actually helping the bank. Indirectly bank doesn’t need to think about the sectors like others because it is performing very well. Total outstanding loan was 71 million in the year 2010-11 and the total amount has gone under the title unclassified loan and the classified section is 0%, really sounds good. The amount of unclassified loan was TK 100 million in the year 2010-11. 86 million in the in 2010-l1 it is 71 million, its falling year to year so it can be seems that the sector is not performing well but it will not be right cause this sector keeping its classified sector nil, year to year. Fall of the amount of unclassified loan can be linked with other sections like sanction, disbursement etc. Though it is an important sector of the country but BDBL is not currently dealing with this sector. There is no amount of outstanding loan in last two years and also classified and unclassified loans. In 2009-10 there was only of TK 6 million bad loans in this sector. After that we see no activities of this sector. BDBL need to consider the sector again not only for its profitability but for the people who deals with this sector. Though the outstanding amount of this sector has a little significance but it is not a matter of hope that the total outstanding amount is bad loan. In 2010-11 the amount of bad loan is of TK 10 million and it was of TK 11 million in 2009-10. And in those years these amount were also the total outstanding amount. So it means either the sector has fallen totally or the inefficiency of loan handling of BDBL. So BDBL should keep watching and think how the can recover their money quickly and how the sector can be raised again. Among the sectors with which BDBL deals this is one of the small sectors. BDBL is doing transaction with this sector regularly but the amount is comparatively low. In 2010-11 the total amount of outstanding was of TK 14 million. Of that amount bad loan is 81% and unclassified loan is 19%.bank actually does not expect this type of scenario but it happed. This is the sector with which BDBL has started dealing again with a very good performance. In the year 2010-11 the there was only outstanding amount 15 million and the whole amount is unclassified. In the year there 2009-10 there was no amount of outstanding loan. But in the year 2010-11 here there was only 15 million outstanding and which is totally unclassified. So from these data we can say that the sector is really performing well and the bank should keep and monitor the performance level which exists now. This sector is very much necessary for a country to make production and the bank is dealing with this sector year to year. 93% of the total outstanding is classified in this sector and it is near about 47 million in the year of 2010-11, where the unclassified section is only 7%. In 2009-10 the amount of bad loan was 26 million and substandard loan was 13 million and the unclassified loan was only 12% of the total unclassified loan. 2010-11, here we see the unclassified amount is only 7% of classified loan. So finally we see the section’s performance is not rising rather falling. One of the most important sectors with which BDBL deals. This sector has a great utility for communication purpose. 19% of total outstanding is not bad when the amount of bad loan is falling year to year. In 2010-l1 the amount of classified loan was 13 million and the unclassified loan was almost 56 million. In 2008-09 the total outstanding amount was bad loan, the amount of bad loan was 15 million which was 26% of total outstanding and that year unclassified loan was 44 million, which was 78% of total outstanding and in 2009-lOthe difference between classified and unclassified loan improved and turned into the proper way. Chemical sector is one of the important sectors of BDBL. This sector has the outstanding amount which is 230 million and this amount is 4% of the total outstanding. We divided the total outstanding amount into two sections, classified and unclassified. In this sector in the year 2009-10 bad loan we 44% and the unclassified amount was 56%. In this sector, here we see the contra situation of the two sections. In the year 2008-09, bad loan was 120 million and unclassified loan was 76 million, the year 2009-10, bad loan was 102 million and the unclassified loan is 127 million. So here we see that, the amount of bad loan is falling and unclassified section is improving. This is a sector which is really important for our country and in the current situation the sector has to do a lot for us. This sector got 2% concentration of total outstanding loan. In the year 2010-l1 the total outstanding amount was 120 million of that amount 19% considered as bad loan or the classified loan and the rest amount considered unclassified. Again we see the contra situation between classified and unclassified section and also seeing the positive changes 2008-09 and 2009-10 in these years position of unclassified loan improved and bad loan also improved with a positive change. When the outstanding amount of a section is 2% of total outstanding and the total amount are classified then the sector is bad can be easily said. In the year 2009-lOthe total outstanding amount is 97 million and 96.5 million is bad loan, so this is the section which is in danger. In 2007-08, the amount of bad loan was 12 million; the amount of substandard loan was 69 million and the unclassified loan was 14 million which only 19% of total outstanding was. In the year 2008-09, the classified loan was 76 and unclassified was 6 million only and the final year the situation is 96 million bad loan and unclassified loan is only 7 million, and the ratio is 14:1. So BDBL need to take quick and effective initiative to bring the sector from this kind of bad situation. Last decade some Industries has come under the focus of BDBL, service sector is one of them and performing well. This sector has got 4% concentration of total outstanding. In 2008-09 classified and unclassified section was almost in competition, classified loan was 96 million and unclassified loan was 112 million. In we see the ratio of classified and unclassified loan is 2:1 and the most recent year the ratio is 6:1. So finally we can say the section is really performing well. BDBL deals with 18 sectors. 1 or 2 sectors are going to close by the bank because of loan default, government policy, donor pressure etc, but the remaining sectors will run. So if we look at the chart, wee see 22% of outstanding amount is bad loan or we can say the portion under classified section and the rest amount is unclassified. In the year 2009-10, bad loan was 2975 million, doubtful loan was 46 million, substandard loan was 193 million and unclassified loan was 4226 million, go by ratio the situation was 1.3:1. substandard loan was 1.9 million and unclassified loan was 4122 million, the ratio was 2:1, and in the recent last year 2010-11 , the ratio is 2.63:1, so considering the previous situations, comparing the performance of year to year, the bank is performing good now and their loan performance is coming in control. In 2010, Bangladesh Development Bank Ltd. Continued its operational activities as was done former BSB & BSRS to make a defective contribution towards industrial development of the having comparative opportunities, export prospects, forward and backward linkages and local technology as well as indigenous raw material based and eco-friendly projects. Commercial banking and capital market operation were also other area of businesses. In 2010, the Bank received 757 loan proposals with loan amount of TK. 73.56 core. Among these loan applications, 24 loan proposals were for long term loan and 31 for SME, loan while the others included 19 for cash credit and 683 for consumer’s credit and commercial loan. The Bank kept on sanctioning of term loans during 2010 also. This year long term local currency loan of TK. 35.93 core was sanctioned to 37 projects while the Bank disbursed term loan TYK. 37.11 core to 47 projects / loan proposals in the form of local currency at the year -end of 2010. Reduce the rate of classified loan to 25% through sanctioning of good quality loan and recovering of the said loan. Mobilize investable fund from various sources. Provide term and working capita loan to projects attaching due importance to SME and environment friendly projects. Remodel the retail banking business in line with customer’s financial needs. Explore and grow Foreign Exchange & International Trade/business. Enhance professional excellence and skill of the employees through imparting need based training. 1) Issue of Loan Application form. 2) Instruction & co-ordination to fill the form. 3) Receive form (BSQF) along with 178th of 1% project estimated cost & other necessary documents. 4) Scrutiny of loan application and other papers for evaluation of loan proposal. 5) Preparation of Appraisal Report. 7) Put-up loan appraisal is granted. 8) Loan sanctioned with memorandum. 9) Send information to PID Documentation & other department. The bank officials then scrutinize all the papers with the given documents that mean feasibility report given by the sponsors. If all of this are correct then bank prepare appraisal report about given information. The project will be established which is suitable or not for the project whether the road, railway, riversides or airport etc that are precondition for establishing the project situates this place. He also justifies the types of machines, capacity, types, production capacity etc and gives permission for that company. A Financial analyst of the responsible officer makes financial analysis. He will examine prospect of the company about the demand of the product, marketability of the product, profitability of the product, supply and production capacity of the product, supply and production capacity of the product to meet the market demand through various a financial analysis such as current ratio, profitability ratio, asset management ratio etc. This analysis is also made by an economist or market analyst that is feasibility report of the product of related company. This study comprises of whether the product will be launched that’s acceptability and other related economic matter of the product such as marketability of the product, profitability of the product, supply and production capacity of the product to meet the market demand. Sponsors always tend to overstate their future cash flow, revenue and income and understate the risk with capturing market and expenses. Loan sanction process is not always free from political pressure. Lengthy procedure and long time involved in the appraisal of project. Many projects are sanctioned loan due to influence of political and pressure group. Sometimes the amount of loan sanction is more than that is required by the project because of over invoicing from the part of sponsors. Lack of eagerness to devote themselves for bank because of lower benefits is given employees. Another threaten is the technology, the bank must be adjusted with new technologies and information, otherwise the profitability of the bank may hamper. Now BDBL is loosing concern, the financial statement represents TK260 corer as loses during last year. Amortization facilities are not healthy. Inadequate to social cost and benefits. There is no system of accountability of the appraisal them if the approved project fails to their improper appraisal. Lack of co-ordination among the various departments. Loan sanction procedure is not up to date. Only encourage on large scale industries loan where SME is ignored. Lack of support from government monitoring body. Lack of incentives to employees. Lack Of financial commitment on the part of the borrower. Lack of market research institutions. Weak recovery trend due to corruption, negligence and political pressure. Sometimes, inefricient allocation of loan has created a huge amount of bad debt. In case of sanctioning loan, sometimes the procedures of sanctioning loan did not follow. Lack of skilled and sufficient manpower. Project Appraisal technique should strictly be followed through the loan sanction process. Project Appraisal manual should be up-dated. Relevant and accurate data about project should be collected. Persons involved in project appraisal should have more expertise and practical knowledge. In analyzing the viability of a project, market of the products or services and management should rigorously be analyzed. The time of loan sanction should be reduced, it should not be more than 20-30 days. Central observation committee can be established to analyze, evaluate and solute loan recovery. Over invoicing should be checked and detected by expertise. The real price of machinery should be found out by using various sources. The entire department should be well informed regarding their goal and objectives. It is essential to execute company objective into individual target. There must be clear allocation of responsibilities, authority and accountability. The bank should introduce more promotional activities. The bank should take initiative to develop an effective research and and development centre to get innovative ideas to capture the competitive market. The nepotism by the high officials and political influence should be stopped. The defaulting borrower should be monitored so that he can not channel his fund to other business firms. Most of the banks of Bangladesh are offering a wide array of financial services including new types of loans and advances and some whole new services are lunched every year. 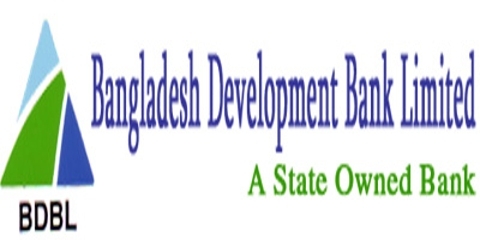 As a DPI, Bangladesh Development Bank Ltd. (BDBL) also has to discover new avenues to reach its goal. It is a state owned bank. For this reasons, it should go to the people’s heart through various schemes. It should follow a mix lending policies designed to improve the quality of its portfolio and reduce its risk exposure so that in near future when competition among banks will serve more it can stand with its own entity. Now BDBL is trying to operate its business successfully in this country. The success has been resulted from the prediction, commitment and dynamic leadership of its management. For success, BDBL has to consider the behavioural issues of this bank’s customers. By proliferation of new advance service expending use of automated equipment and electronic transfer of financial information, BDBL can be a truly fascinating institution in the near future. The institutional future of the BDBL depends on its ability to achieve a substantially higher recovery ratio and profitability in future. And this achievement will help BDBL to overcome its image crisis. Though BDBL has many drawbacks, the contribution of BDBL after Liberation in accelerating the country’s economy and rehabilitation of industrial sectors can’t be ignored. Performance Analysis of Jamuna Bank Limited.